Innovation starts with an idea and ends with the commercial launch of a product. 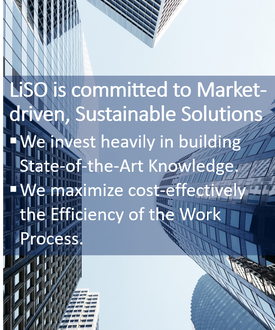 LiSO formulates a unique strategy by leveraging resources, know-hows, and product portfolios; and implements the stage-gate process for product improvement and development. LiSO has been carrying out a range of developmental projects. We work closely with key members of clients' organizations from concept to deployment, build up clients' knowledge, and enable clients' higher and sustainable performance. Businesses require easy and cost-effective ways of protecting their inventions and IPs. On behalf of ONLY our clients of contract R&D projects, LiSO provides IP services to help them implement the patenting process.